Are Your Employees Exhibiting The Following Behaviors? Coffee and Conversation, Sexual Harassment in the "Me Too Era". How do we navigate this new normal in the workplace. AGreenlife Video from the panel's perspective:"Ending the Stigma". Coffee and Conversation with United and Empowered Care, Inc on Community Engagement and Community Coaching. Coffee and Conversation with Serenity CC Inc on Applied Behavioral Analysis. Coffee and Conversation with United and Empowered Care on Reggae Summerfest. 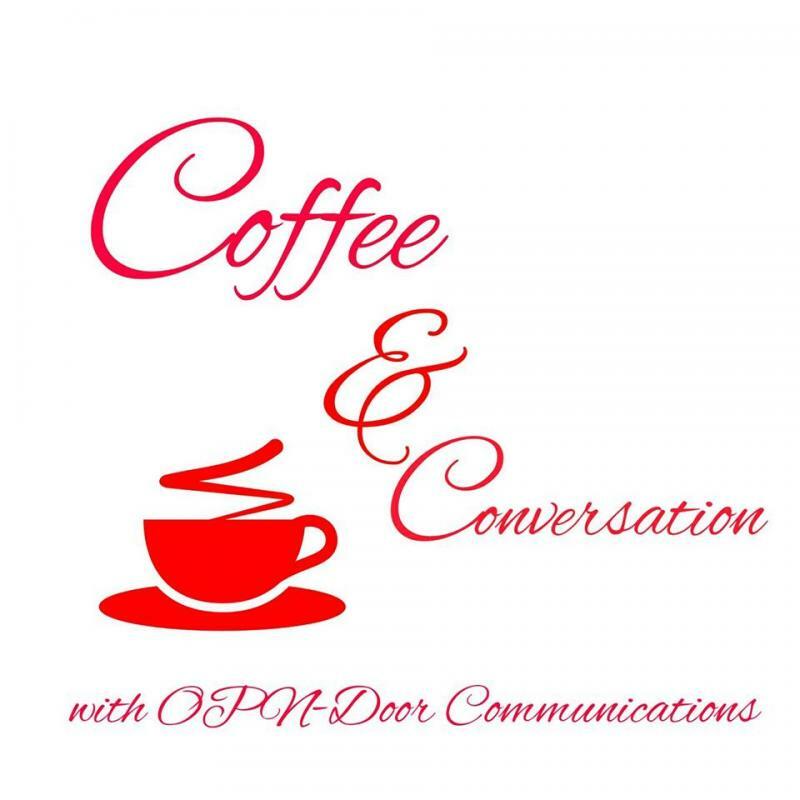 I am excited to produce a dream of mine: OPN-Door Communications presents Coffee and Conversation. I love to have coffee and talk about everything. I wanted to marry my two loves and start this series. I am curious about everything, which is why I have started the Coffee and Conversation Series. I will soon begin to host a podcast on Anchor called Coffee and Conversation at the Cullins Corner. Hello and welcome to OPN-Door Communications presents Coffee and Conversation at the Cullins Corner. What should you expect at The Cullins Corner? To be informed, engaged , excited and empowered to live your Best Life. 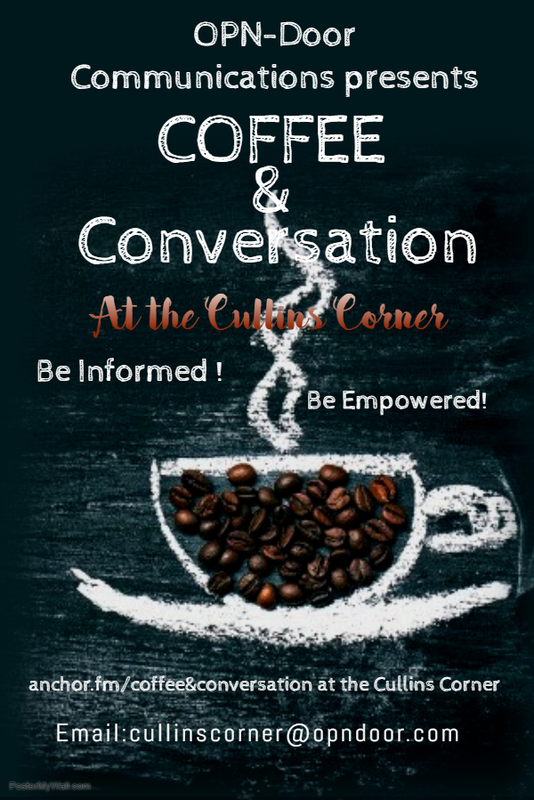 OPN-Door Communications presents Coffee and Conversation at the Cullins Corner. Copyright 2014 OPN-Door Communications LLC.